Get 5% off any phone purchase on Tello.com using the code CL6TMP. Hurry and claim your offer while stocks last. Exp. Jan 14, 2019. Get 15% off any US plan combination on your first order using the code 15OFFAFF. Exp. Jan 14, 2019. Samsung never misses when it comes to manufacturing smartphones packed with the latest high spec technology. Samsung Galaxy S6 S907VL is another addition to the flock of these high-end smartphones in the line of the S' flagship series. Launched in 2015, Galaxy S6 S90VL remains one of the fastest devices and has recently been upgraded to the Android 7.0 Nougat version. This 5.1-inch device with all-metal and glass body is a beautiful item to add to your possessions. Samsung always improves on device properties in every release; talk of improved performance, better camera, better screen resolution and much more. After I received my Samsung Galaxy S6 S90VL and spent a couple of days with it, I came to the conclusion that it’s an incredible piece of hardware. Let’s find out more in this review. Cutting the seal on the box and opening it up revealed the beautiful Samsung Galaxy S6 S907VL. Other accessories in the box included manuals in different languages, some instructions, charger adapter, a USB cable, a pair of headphones and SIM ejecting tool. The battery is embedded, and generally, the device looks awesome, we are going to get into that in a while. The Samsung Galaxy S6 S907VL comes in different colors; blue topaz, gold platinum, white pearl, black sapphire. I prefer the black sapphire, and that is what I ordered. The Samsung Galaxy S6 S907VL is entirely different from the previous Samsung S series devices. First, it comes with a non-removable battery, with the back totally sealed off. A micro SD slot is left out, but that's catered for with the large internal storage. As opposed to the plastic body covers in the previous Samsung Galaxy S' series flagship phones, the Samsung Galaxy S6 S907VL is an all-metal body and glass design making it beautiful to behold. It's slimmer and lighter. Both front and back are clad in Gorilla Glass and a metal strip snaking on the sides. The 5.1-inch phone fits comfortably in hand; I was able to operate the phone using just one hand. At the right side is the power button, on the left side, are the volume buttons. At the lower part of the device, is the speaker, microphone, charging port and the earphone jack. Going to the top side is the SIM card slot and a noise cancellation mic. The front is covered by the spectacular Super AMOLED 5.1-inch Quad HD display. The lower part of the screen sits the home button which functions as a fingerprint scanner for fast unlocking of your phone. On the right of the home button is the back button and the recent apps button is on the left side. The Gorilla glass at the back makes the device shiny and attractive to look at. The camera protrudes a little at the back, but that is nothing if you consider the quality of videos and pictures it takes. A heart rate monitor is also found at the back, just opposite the camera and below the flash. Samsung invested a lot in this design, everything about the phone is perfectly on point. The camera package rounds up the hardware bringing out the best specifications ever experienced in the Android Galaxy devices. The Samsung Galaxy S6 S907VL comes with a 16 MP back camera and a 5 MP front camera. Both cameras have fast autofocus with f/1.9 aperture which brings out bright photos and videos in both low light shots and auto-HDR modes. I used the camera to shoot several videos and photos, even in motion and there was no blur. The camera works well in default mode, but if you want to get fancy and experiment you can switch on the pro mode. You can enjoy a lot of features in the pro mode; such as adjusting the focus and take advantage of the field provided by the f/1.9 aperture. Other modes the camera offers are slow motion, fast motion, selective focus, panorama, and virtual shots. Samsung went overboard with video capturing technology on the Samsung Galaxy S6 S907VL. It can capture video in 1080P, slow motion or 4K. The front camera produces brighter photos and is excellent for self-portraits. Video calling is remarkable, and you shouldn't think any lesser of it despite being 5 MP compared to the 16 MP back camera. The front camera has all the other back camera features. Taking photos deep in the night is a breeze. The way Samsung process photos after capturing is impressive. You may find smudges and fuzziness when zooming on photos taken in the dark with other cameras, but with the Samsung Galaxy S6 S907VL, the photos are clear and beautiful to look at. Scenes are well portrayed. The background is blurred appropriately to bring out the subject. With every launch of a Galaxy phone, Samsung always makes an improvement on the camera; the Samsung Galaxy S6 S907VL is just that. One thing to highlight about the camera is how Samsung made it easy to launch the camera app by double tapping the home button – whether it is locked or you are deep inside another app. Samsung invests a lot in display technology, and the efforts are felt in this Samsung Galaxy S6 S907VL SUPER AMOLED QUAD HD 5.1-inch display. The screen is just impressive, it shows everything brightly and clearly and even adjusts to all light conditions. The quality implemented into High Definition TV's from Samsung is brought into the display on the Samsung Galaxy S6 making it a magnificent view. It has an incredible resolution of 1440 x 2560 pixels (~577 PPI pixel density). What I found most impressive about this HD QUAD display, though, is its outstanding color reproduction. It's the kind of experience you get on high-resolution monitors. Dark scenes are shown off perfectly. Two words can describe this. Stunning Display! I enjoyed watching a lot of content on this screen. There's no better place to enjoy videos and photos taken by the 16 MP camera than on this HD QUAD display. The Samsung Galaxy S6 S907VL comes with a non-removable 2550 mAh battery. Samsung has optimized most operations by tweaking Operating System functions to ensure the battery lasts longer. I have been spending time with the device for a while and I found the battery life quite withstanding. Doing regular operations like a bit of browsing, checking my emails, a few calls during the day, and chatting; the phone was able to last a day out. Most of the time I am left with about 15% to 20%. Wireless charging is also available on the Samsung Galaxy S6 S907VL. It also supports fast charging; one morning I was in a hurry, and I had forgotten to charge the phone overnight, with about 15 minutes of charge, the phone lasted just over 4 hours. Fast charging is a cool feature. In about one hour, the battery is fully charged. Just impressive! 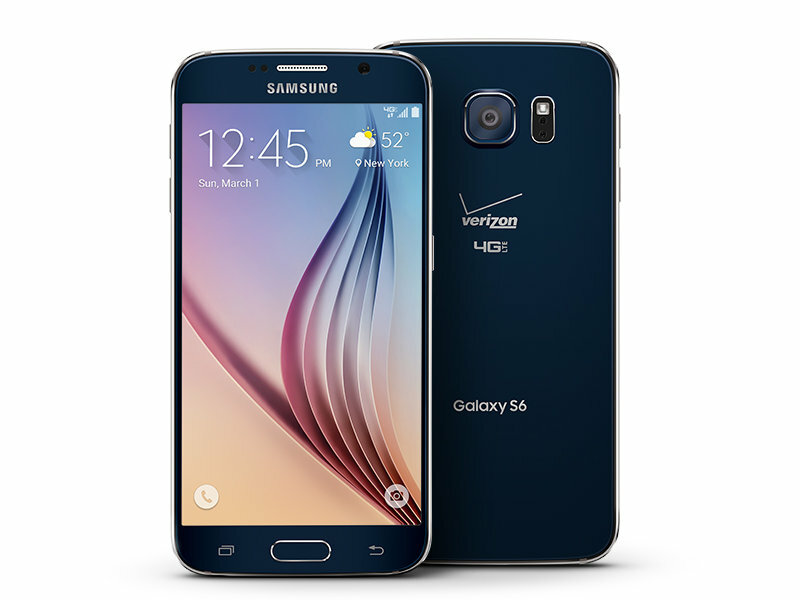 The Samsung Galaxy S6 S907VL comes in several variants depending on the internal Storage. You can choose from the 32 GB, 64 GB, or 128 GB options. I made an order for the 32 GB variant, and that's what am using at the moment. I have taken a lot of photos and videos, downloaded a variety of songs, but still, storage space has not run out. An external microSD card slot was left out on the Samsung Galaxy S6 S907VL so if you feel 32 GB of storage space is not enough, you can go for either the 64 GB or the 128 GB variant. As you can expect from a combination of high-end specifications, the performance of the Samsung Galaxy S6 S907VL is fantastic. Starting from how fast it scans a fingerprint and unlocks, swiping and scrolling through various UI features, opening and switching between apps, multitasking and accomplishing general tasks is extremely smooth. What fascinated me most is how fast the camera launches when I double tap the home button from anywhere deep inside applications. I did not experience any lags or freezes in the UI even when handling intensive tasks like gaming or browsing while having several tabs on the browser. Animations were incredibly smooth and fluid while switching between apps or gaming. To achieve such impressive performance, Samsung had to go overboard with the processor, RAM, and GPU. Samsung Galaxy S6 S907VL is powered by an Octacore Exynos processor (4 cores running at 2.1 GHz, the other 4 cores running at 1.5 GHz). While other high-end smartphones run on Qualcomm Snapdragon processors, they decided to use their home-made Exynos processor. Paired with the processor is 3 GB of RAM, making everything on the phone extremely responsive. The Mali graphics unit combined with the RAM and processor produces a great gaming experience without noticeable slowdowns. Out of the box, the phone comes running Android 5.0.2 Lollipop. As at the time of writing, it's upgradable to the latest version of Android; v7.0 Nougat. On top of the OS is Samsung's TouchWiz UI and a few other preinstalled applications. Samsung did not include a lot of preinstalled applications as compared to the previous Galaxy S' series. I felt good about this decision by Samsung because I didn't have to uninstall a lot of unused applications. You can still download the apps from Google Play Store by searching Samsung apps. The phone comes with several sensors. On the home button is a fingerprint scanner that can be used to unlock the phone as well as authenticate Samsung Pay transactions. A heart rate monitor is also available, placed vertically on the side of the back camera - it works well with the Samsung Health Application. A proximity sensor for checking relative distance of the phone from objects. An accelerometer is available to sense movements and vibrations and also control characters in games. Also bundled in the phone is NFC and Infrared Sensors. Other sensors like a barometer, assisted GPS (aGPS), and GPS work together to pinpoint your exact location and helps in navigation. Samsung Galaxy S6 S907VL supports different networks including 4G LTE and CDMA that operates on Verizon network hence accommodating the Straight Talk plan. It has Wi-FI capability and can create hotspots to share your internet connection. 16 MP back camera, 5 MP front camera. Talk time up to 23 hours. Internal Memory: 32 GB, (Other variants 64 GB, 128 GB). Processor: Octa Core (quad 2.1GHz and quad 1.5GHz), Samsung Exynos SoC. $10 monthly; 200 minutes for Calling, Unlimited Texts, Unlimited Data (500 MB at High Speeds, balance on lower speeds), no contract. $14 monthly; Unlimited Nationwide Calling and Texting, Unlimited Data (1GB at High Speeds, balance on lower speeds), no contract. $24 monthly; Unlimited Nationwide Calling and Texting, Unlimited Data (3GB at High Speeds, balance on lower speeds), no contract. $39 monthly; Unlimited Nationwide Calling and Texting, Unlimited Data (10GB at High Speeds, balance on lower speeds), no contract. Flexible Plan where you select the number of minutes, texts, and data that you may use for one month. Includes calls to Canada and Mexico. The system calculates the cost for you. Scratches and scrapes are no match for the anti-shatter, scratch-resistant fortified Alpha Glass Galaxy S6 screen protector. With flawless clarity and touch sensitivity maintained. Swap out MySymmetry Series Swappable Design Inserts when the mood strikes or your style changes. MySymmetry Series clear case shows off your Samsung Galaxy S6 while protecting against scratches, dings, and drops. Show off your Galaxy S6 with the easily customizable MySymmetry Series clear case. Choose from a variety of swappable design Inserts. The case is drop tested to protect against impact and shock. The Symmetry Series Case is a stylish safeguard for your Samsung Galaxy S6. Offering protection against impact, drops, and scratches. Available colors: Black, Glacier, City Blue, Gridlock Metallic, Carbon Fiber Metallic, Anthurium, Melon Pop. Add a splash of color to your case with a new Commuter Series Galaxy S6 Shell in your choice of hot hues. Available colors: Black, White, Hibiscus Pink, Sage Green, Royal Blue, Periwinkle Purp, Dark Jade, Sleet Grey. Refresh the look of your case with a new Commuter Series Galaxy S6 Slip Cover in your color choice. Available colors: Gunmetal Grey, Black, Light Teal Blue, Liberty Purple, Hibiscus Pink, Scarlet Red, Dark Deep Water. Suit up your phone for always-on living with this sleek Galaxy S6 Commuter Series case by choosing from your favorite color combination. Comes with a slip-on screen protector for fending off scrapes while maintaining clarity. Show support for your favorite team with the Samsung Galaxy S6 NFL 3-layer tough case that survives drops and fumbles. Comes with a screen protector to guard your display against scratches and smudges. Blend into the scenery or stand out around town with this rugged Defender Series Camo Case for Galaxy S6. The inbuilt screen protector fortifies your screen against scratches and smudges.